This show features the artists Prince Aydin, Madeleine Cruise, Jacqueline Larcombe, who took up the very first Bammy Residency in 2015, run by Marrickville Garage from a house on Mangrove Creek. Read more about the residency here. United by friendship the three artists share responsibility in the administration and direction of NANA, a not for profit and artist run space located in Newcastle NSW. During the four week residency, Prince Aydin consolidated their experimental performative works, using the natural setting as ‘stage’. 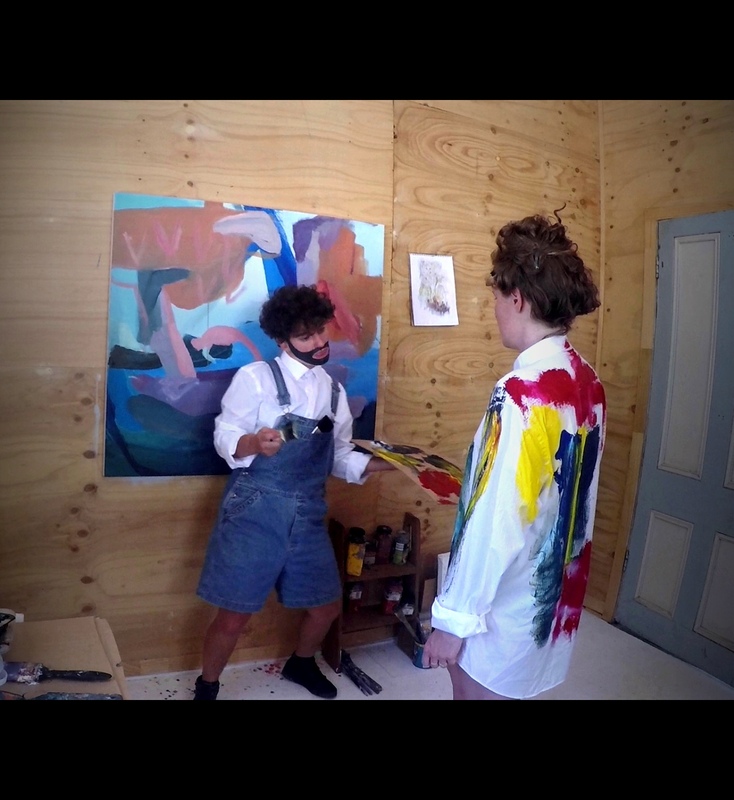 Working across with painting, drawing, dance, writing and video, During the four week residency, Prince Aydin consolidated their experimental performative works, using the natural setting as ‘stage’. Working across with painting, drawing, dance, writing and video, Prince reveals identities, desires, humiliations, frustrations and pleasures; through a post-queer, feminist lens. Their practice questions a broad range of subjects including gender, cultural identity, autobiography, history, memory, time, space, politics and popular culture. Humour, with inter-textual gifts, is used to question cultural stereotypes, stale notions of gender, sexuality, and politics. 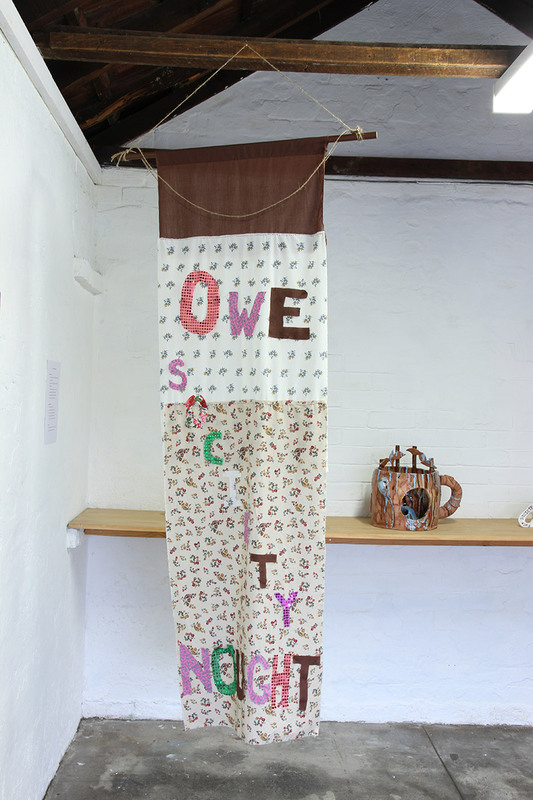 Jacqueline Larcombe used her time on the Bammy Residency to continue a series of giant clunky mugs. As time progressed she converted the mugs into novelty products marketing the possibility of a new life in Mangrove Creek. 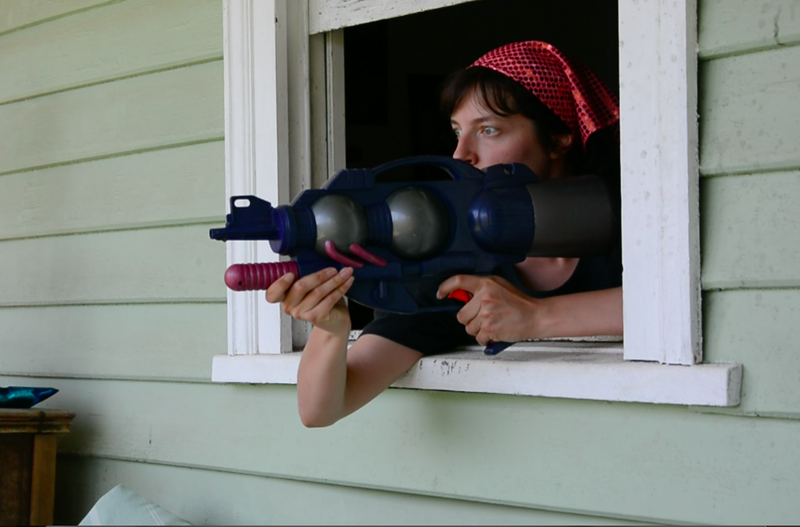 This coincided with a video made during the residency titled ‘Mangrove Creek Commune’, a short narrative style video about a fictional ‘alternative’ women’s commune being set up along the river. Jacqueline Larcombe, Self actualisation mug, 2015, earthenware, under glaze. Jacqueline Larcombe, Commune soup bowl set, earthenware, under glaze. Madeleine Cruise responded to the landscape whilst visiting Mangrove Creek, making drawings and watercolours outdoors, before working on collages and larger paintings in the studio. The Australian bush is a complex subject from which to work and Cruise found the opportunity to revisit sites and be immersed in the space on a daily basis a valuable part of the residency that enriched her painting practice. 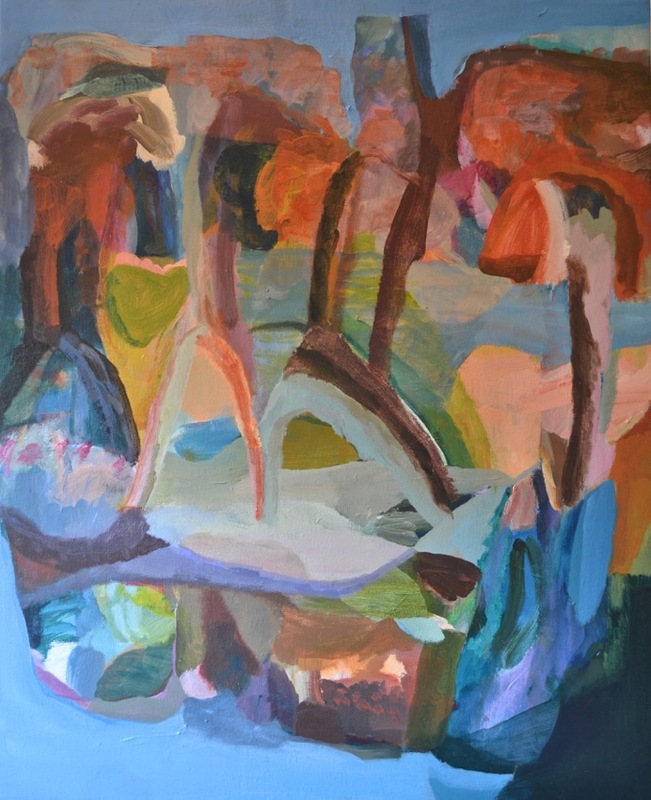 The final works that produced operate as interconnected psychological interiors and landscape paintings that chart the emotional terrain of her experiences within the natural environment of Mangrove Creek. Madeleine Cruise, (left) A thousand places to hide, 2015, pencil, pastel, gouache on paper. (Right) Night time Growls, 2015, pencil, pastel, gouache on paper.